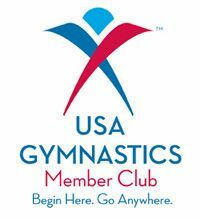 We offer classes for boys and girls ages 18 months to 18 years old and USAG women's competitive team levels 2 through 10. Our small class sizes allow our postive and energetic staff to safely instruct the young gymnast on the Olympic events and trampoline. To schedule a free trial class please contact us at 831-754-1113 or visit us at 726 La Guardia Street, Ste A in Salinas.